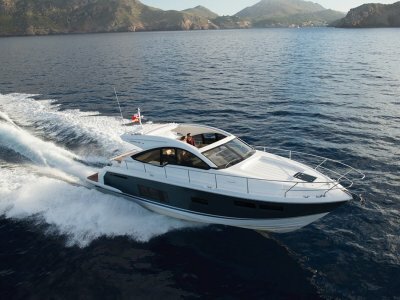 The Targa 50GT demonstrates all the practical design elements for which these long range cruisers are famous. 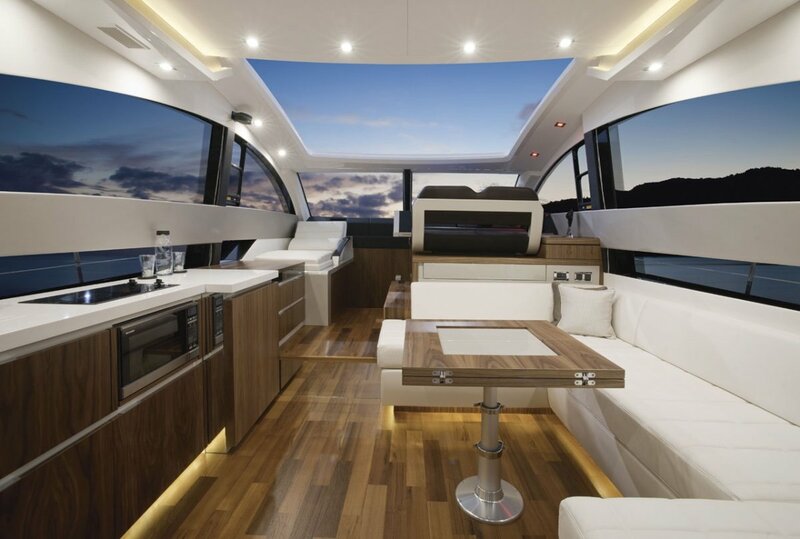 The most striking features of this latest design are the sweeping panoramic windows and the choice of having your living space fully open or fully closed by operating the smooth-sliding roof. 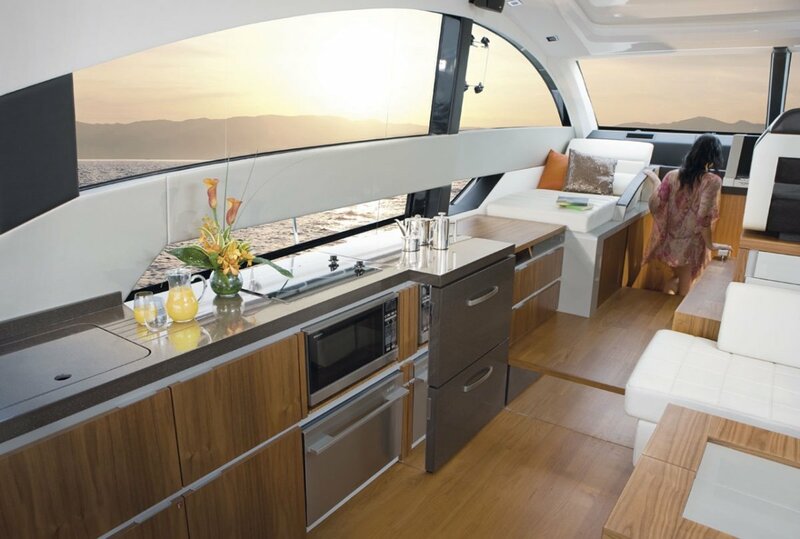 The well-positioned aft galley also adds to the sense of open alfresco living. 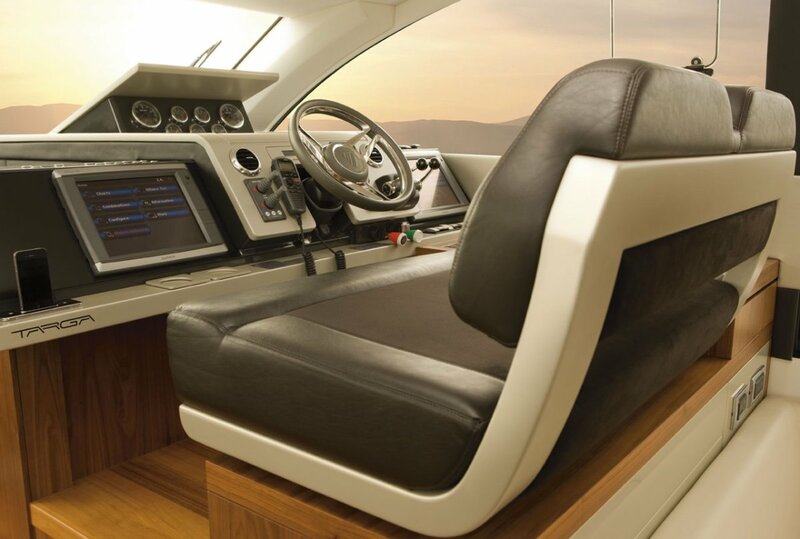 This express cruiser was built on the principles of no compromise. 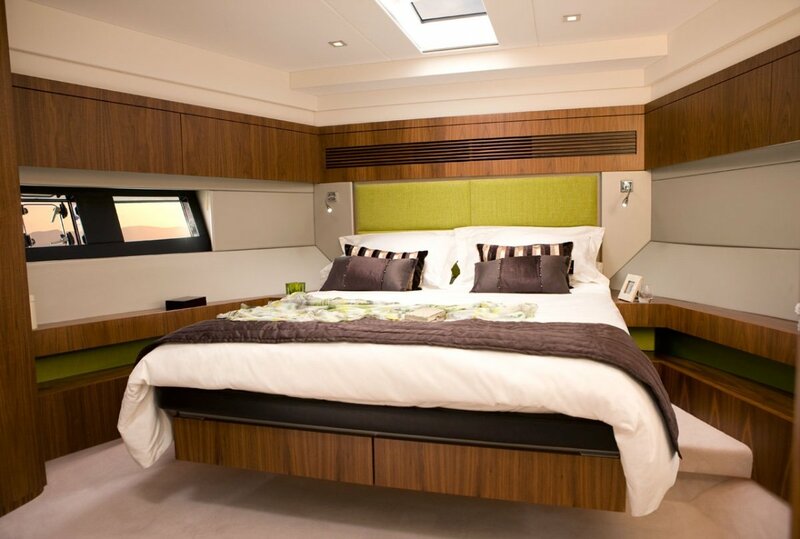 To offer accommodation of such proportions within a 50 foot hull was a testing challenge for our design team. Walk through the Targa 50 GRAN TURISMO and you'd be forgiven for wondering where all the space has come from. Our brief was to maximise room sizes and head clearance, even if it meant going back to the drawing board. Which we did, many times, until we were happy that we had created rooms with a spacious 'luxury apartment' feel. 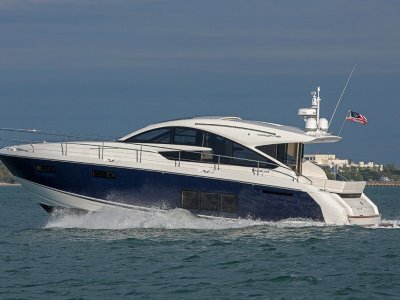 Of course, this is a true GRAN TURISMO and the smooth-sliding roof, sweeping panoramic windows and rear glazing that simply glides up and out of the way, opens the whole boat to the world around you. Moving bulkheads back further than traditional design dictates has allowed us to create more free-flowing floorspace around beds, fixtures and fittings. 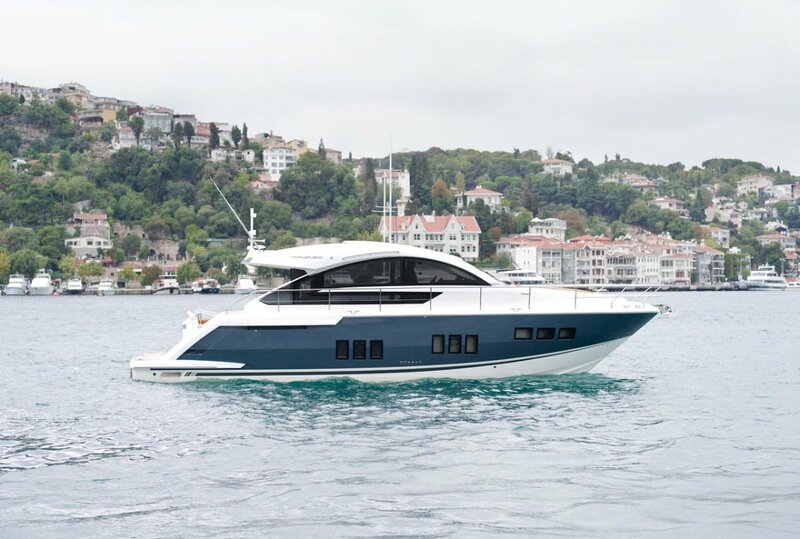 The hull was designed to make it beamier and fuller at the front, the result is a luxuriously large forward cabin that doesn't suffer from the usual 'squeezed into the bow' feeling. 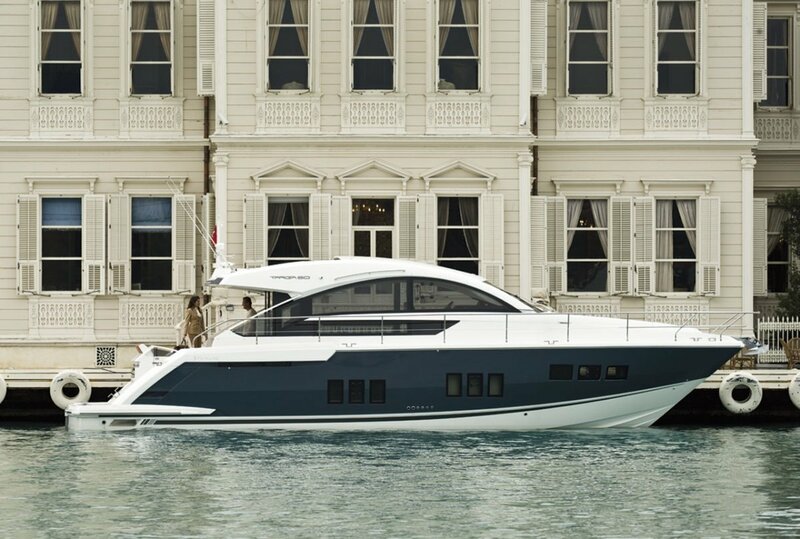 Finding more space hasn't been to the detriment of the practicalities of this remarkable 50 footer. The headspace remains generous even for six footers. The engine bay is free from clutter with everything at hand for ease of use. 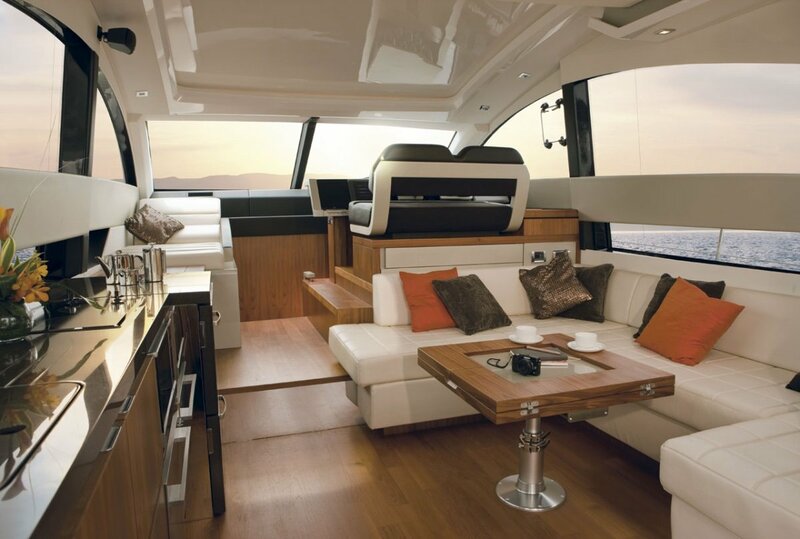 And not an inch had to be taken from the large lazarette, or well-appointed optional single crew cabin. 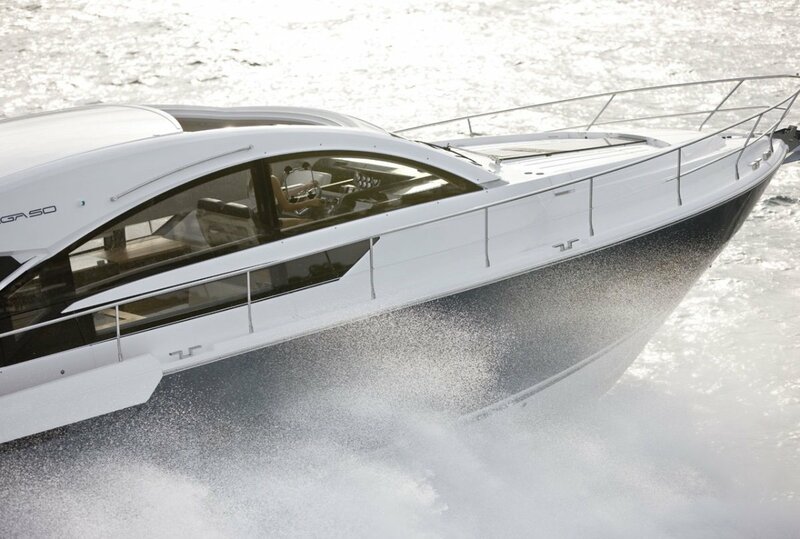 You can specify Fairline's hydraulically powered Tender Launch System for the quickest way to launch and retrieve your tender. 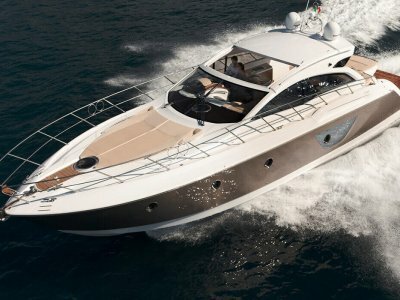 There's also the option of a hydraulic passerelle for effortless boarding. 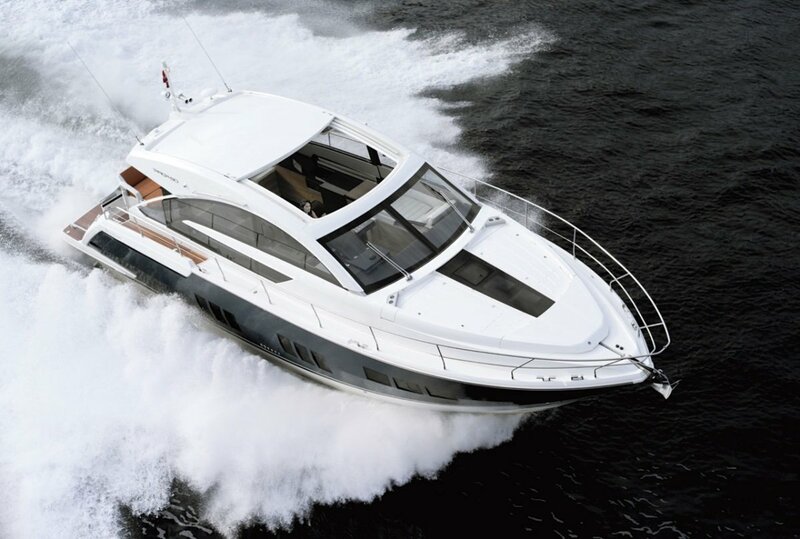 And a hydraulic sunshade opens all the way aft to give you a fully usable outdoor space free from direct sunlight. 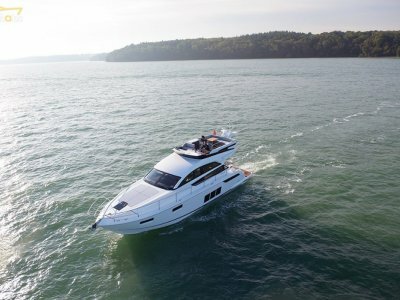 Call Southern Australian agents for Fairline, Premier Yachting, for full details and special deals on this and other boats in the Fairline range.